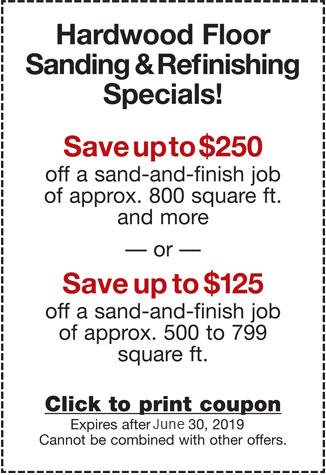 Don’t spend the next several years cleaning up the fine dust left by some hardwood floor re-finishers. 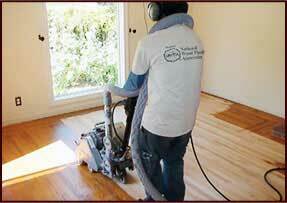 We use either a the non-sanding or no dust sanding methods while finishing or refinishing hard wood floors. Elegant Floors offers Dust-Free Refinishing for hardwood floors with the Atomic Dust Containment System (DCS) by Bonakemi, the most advanced and powerful dust containment system available. Traditional hardwood floor sanding is typically an extremely dusty process – a dust-storm in your home, lingering dust in your air-ducts, and a cleanup headache that feels like it will never end. The Atomic DCS provides a cleaner, healthier and faster sanding process reducing dust far beyond what the traditional sanding process generates. The innovative concept of the Atomic system is to have a powerful vacuum engine connected to all of the sanding equipment, evacuating the airborne dust generated from the sanding process, and collecting it into our atomic trailer, which is parked outside your home. We also utilize powerful, portable dust containment systems. 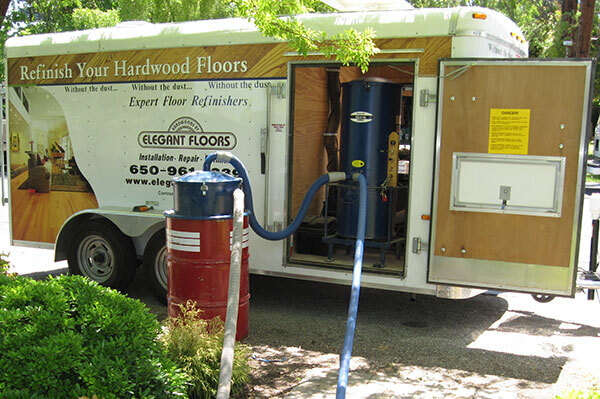 When Elegant Floor technicians arrive, they will first bring in all the sanding equipment and attach hoses to the equipment that lead out to our atomic trailer which houses the sealed dust container. Our first pass with the sanding equipment removes the old finish and evens out the hardwood surface. We then make multiple passes in the room to completely sand your floor. We use specialized equipment for the edges. Third, we spot check the floor and fill in holes, gouges, and cracks with Bona floor fillers. Next we make a final sanding pass, and after the final floor preparation, we apply three coats of top-grade commercial finish. Last, if desired, you pick the stain that best suits your home. We offer either oil-based or waterborne stains. For more details about the Bona Atomic DCS Process, please view our Bona video.